Tissot reveals the inner workings of its expertise with the Tissot T-Complication Squelette. The five "arms" that radiate under the sapphire crystal offer a plunging view of the hand-wound, mechanical skeleton movement. Elegant touches of dark blue, echoing the screws in the movement, transform the time display into a visual delight. Even the small seconds subdial has been engraved to preserve this absolute transparency. 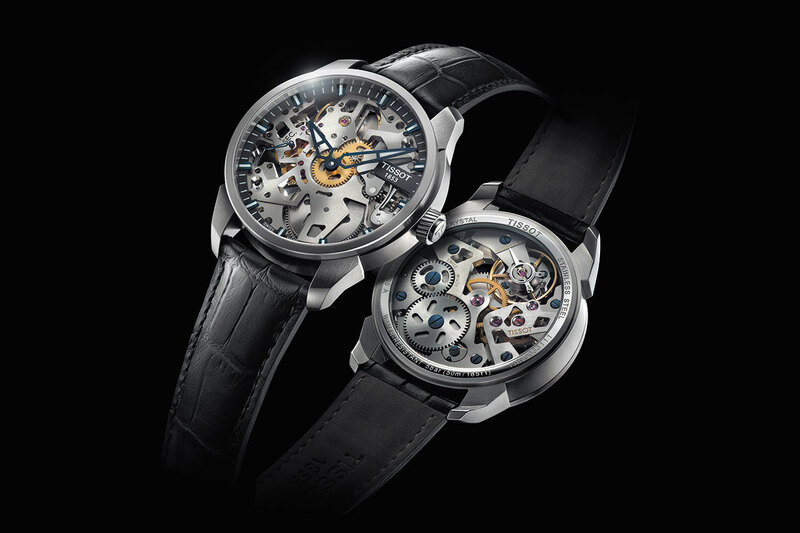 The slanted grooves around the crown, the scintillating jewels, and the lugs whose form echoes that of the "arms" confirm the uncompromising attention to detail that defines the Tissot T-Complication Squelette.